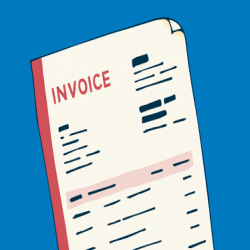 Cash is the lifeblood of any business, so invoicing is an integral part of the process. Gone are the days, when manual billing was prevalent. Nowadays as online invoice integration has developed so has businesses operations. Immediate disbursal of invoices aids the business liquidity position and business relationships. 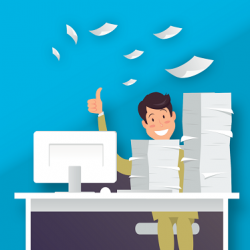 The second advantage of online invoicing and bill generation software is that it gives a professional look to the invoices and encourages immediate payment. 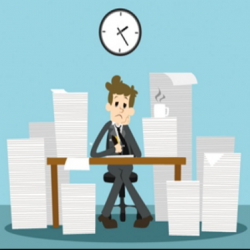 There are tons of online bill generation software that lets you raise and send an invoice in seconds. The trouble with too many choices is that choosing one becomes difficult, so we have given you a list of the top five online bill generation softwares for 2018 that helps your small business grow by leaps and bounds. 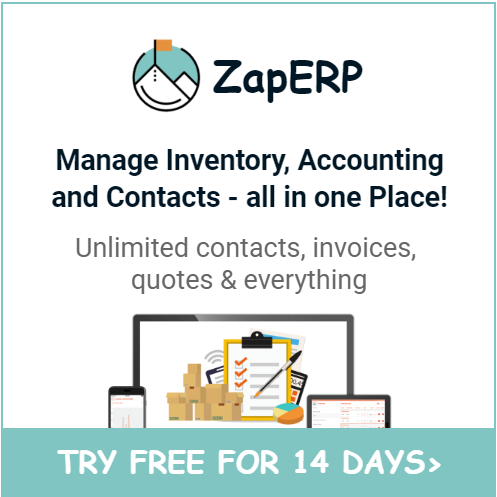 Zaperp is all in one online invoice generation software that lets you not only generate invoices but also helps in maintaining inventory, accounts of your business, customer relationship management, time tracking, expense management and so on. 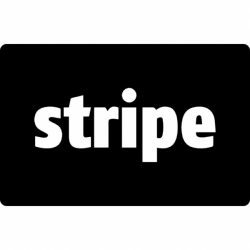 The software allows third-party app integrations of payment apps like Paypal, Stripe, and others. The CRM of ZapERP enables integration of Slack, HipChat, Zapier thereby making it very easy to solve customer queries and issues. The best feature of this free online billing software is its pricing is decidedly less when compared to other software available in the market. 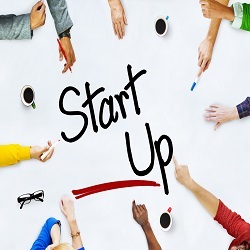 If you are the small business owner or have started a new business, then ZapERP is your cost-effective choice. Click here to know more about ZapERP. Xero is next on our list. Like every other online invoice generation software, it offers both free and paid version to its users. Xero has many advantages like third-party integration, easy report generation, professional invoices including the update that your invoice has been viewed. The calculation of employee work hours and cloud-based software has put Xero in the second position. However, the downside of Xero is that you can access it only when you have internet. Multi-currency feature and stock options are on the weaker side and user interface can be little confusing at times. The pricing is also costly when compared to other free invoice maker software available in the market. 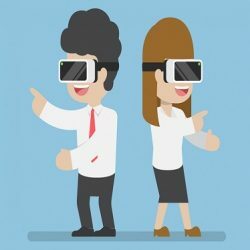 Quickbooks has been a hands-down favorite with entrepreneurs and small business owners for a long time. Nevertheless, now QuickBooks stands third in my ranking due to a snag in its offerings. 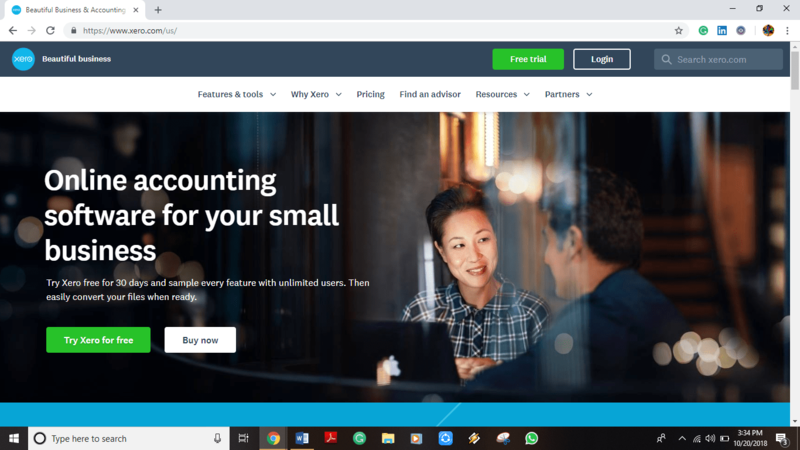 First, the pros of using QuickBooks include online bill maker, financial reports, expense tracking, financial statement, inventory, and bank reconciliation. While all these features look great, the availability of these features depends upon your internet connection. 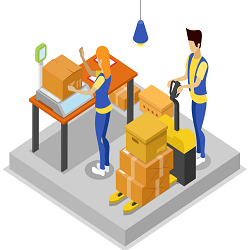 It does not include payroll, tax filing or credit card acceptance as part of the package; you need to pay an additional amount. 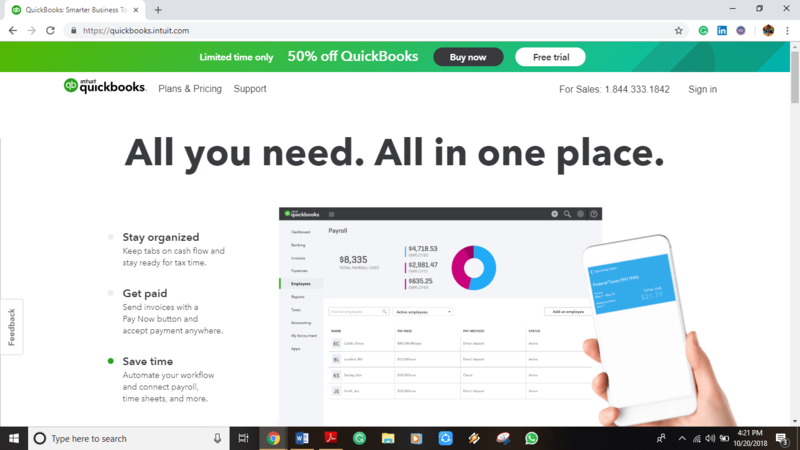 Quickbooks is also missing project management software features which is a downside for freelancers, and the user interface can be a bit much for beginners. The next invoice and billing software free on the list is Wave accounting. Wave accounting has a host of great features just like ZapERP. Wave comes with a clean and user-friendly interface including the tracking of outstanding payables and receivables. It generates business-friendly reports, and it is designed for businesses that have a lesser number of employees. However, Wave does not have credit note feature or other features like time tracking, project management or audit history. Instead of charging on the whole, Wave charges for every credit card transaction and also for payroll services. As most of the operations are now through online, this charge will be heavy on the finances of small business owners. 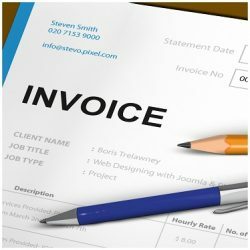 Zoho invoices are the next online bill generating software in the list.The software is dedicated to invoice and bill generation. 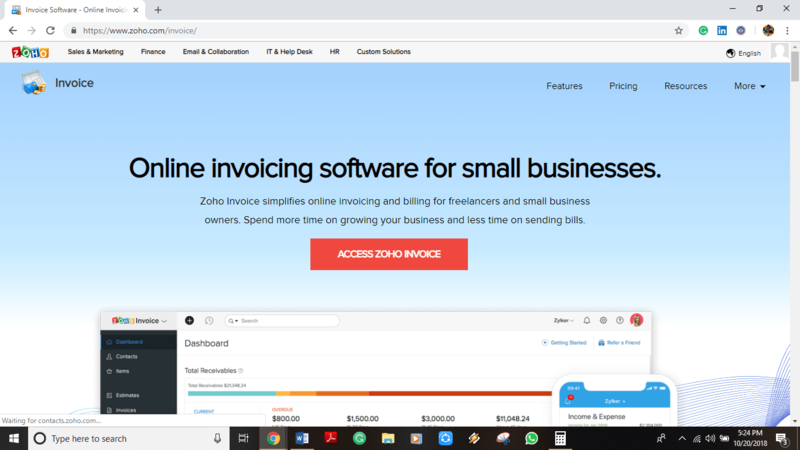 The advantages of Zoho invoices are that it offers multi-currency options, third-party integration with PayPal and other payment gateways, multilingual functionality, time tracking, expense sheets and many more. Unlike ZapERP or any other software that offers full functionality, Zoho is only for billing and expense accounting. Also, every invoice features the Zoho watermark. The pricing is quite costly, and if you are adding a new user, you will be separately billed. 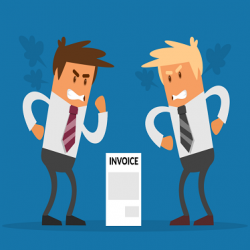 Zoho invoices are great for service-based businesses but not so much for e-commerce business. 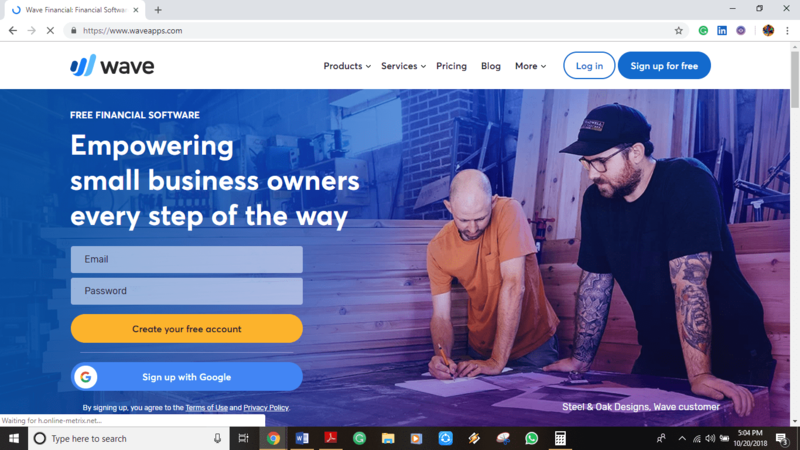 After looking at all the pros and cons of the online invoice generating software, it is quite clear that ZapERP is a great choice for small businesses who are looking for a cost-effective solution for their invoicing needs. It also offers many great options in Human Resource Management, Accounting, and Financial management, CRM and others. The user interface is quite friendly for beginners and provides an overall view of the business operation in the personalized dashboard. 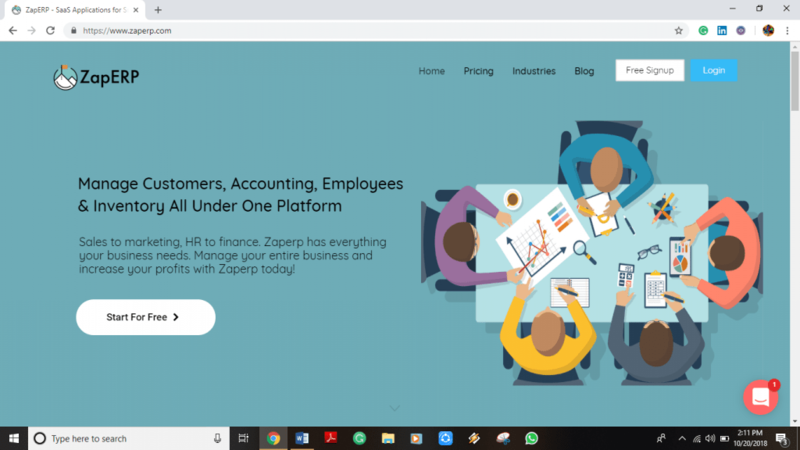 Click here to know more about ZapERP. Choose the best online bill generation software that satisfies your invoicing needs.